AWShine Hack is an initiative by “Amazon Women Shine” and “AWS Startup Community” with the aim to bring ideas to life while blending the diversity divide of Women in IT & Business. Many aspiring entrepreneurs thrive in a quick competition environment where they form teams, come up with a problem to solve and build a solution- all in the span of a day or two. The AWShine Hack is proud to launch its first Diversity Hack focused on Entrepreneur & Developers in Sydney and Melbourne, as it is a great way to bring like-minded business and tech together around a single mission to iterate on their shared passions. AWShine Hack challenges you to speed up that process, no business plan required. Just bring your idea and let’s hack the rest. All entrepreneurs come to the workshop with nothing more than a concept for a business, Either in Sydney or Melbourne. The event will see up to 100 participants from the start up, tech and business communities collaborating and competing to create startups over the weekend that will try to disrupt some of the toughest challenges in the marketplace economy today ( think dog walking, rent my bag, photo sharing, drive my car, etc.) . Over two days we take them from idea to beta testing. Participants will pitch, preview their beta launch and validate their ideas in preparation for a final pitch in front of an industry panel of judges. Did we mention there’ll be prizes? Come and connect, build and learn with us. This will be one intense weekend you don’t want to miss! AWShine hack is open to all genders, however priority will be given to entrepreneurs and hackers. If you are placed on the wait list, we highly encourage you to sign up as a mentor or spectator. Amazon has hundreds of millions of customers who will benefit from all forms of diversity. We are a company of builders who bring varying backgrounds, ideas, and points of view to inventing on behalf of our customers. Our diverse perspectives come from many sources including, gender, race, age, culture, and education, as well as professional and life experiences. We are working to develop leaders and shape future talent pools to help us meet the needs of our customers around the world. We seek talent who invent, think big and deliver results. To translate those skills to tangible customer benefit requires understanding of diversity. We are committed to growing that diversity. Our customers will be the beneficiaries of this work. Research shows that workforce diversity can boost a company’s bottom line by providing creative variety of thinking styles and, thus, new business solutions. 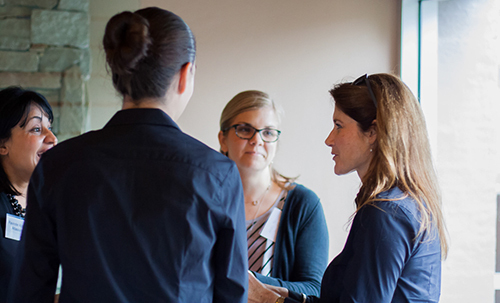 Enabling professional networking between women and advocates across functions and levels. We foster creating networking connections both internal and external to the company. Creating advocates across all functions and levels to promote the awareness of AWShine and importance of a diverse workplace. Developing women at Amazon into leadership positions. We identify and promote opportunities to grow professionally and personally. Increasing the diversity of recruiting pipelines for all positions. Mentoring. We believe mentoring supports all our other tenets and is a key part of our organisation.